Rainbow favorites: BLUE! | Light Your Nails! Mi piace moltissimo questo blu notte!! Own it! Love it! but it definitely requires a base coat because it STAINS!!!! Eh, I always use base coat and I usually double up for shades like this! Gorgeous! I've been wanting this polish for so long now. I love esp. their old collections I must say! 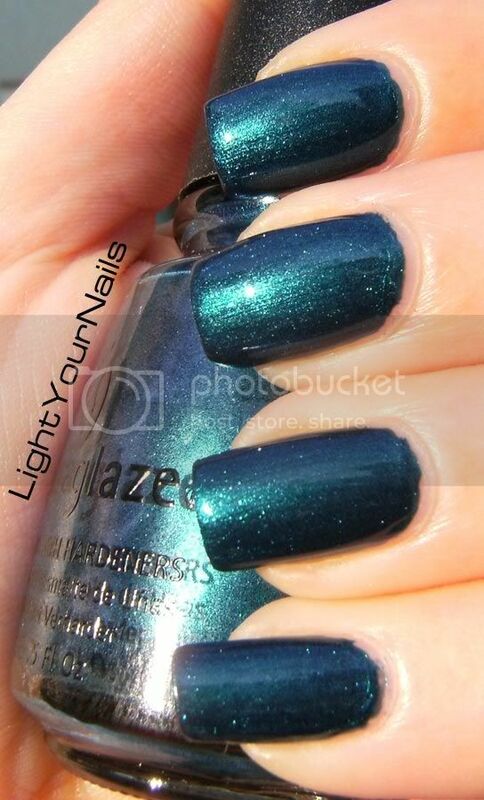 So many China Glaze blues are posted today! This one is gorgeous!